National Self-Industrialization Will NOT Solve The Internet Problem! It's understandable that one of the biggest constraints of the Philippines when it comes to Internet service quality is that the country is composed of 7,107 islands. 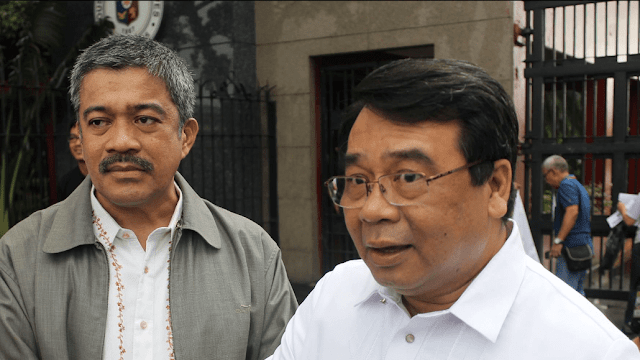 So here Rep. Neri Colmenares of Bayan Muna is really showing more reasons why the Party List to where he belongs to is better called "Bobo Muna". 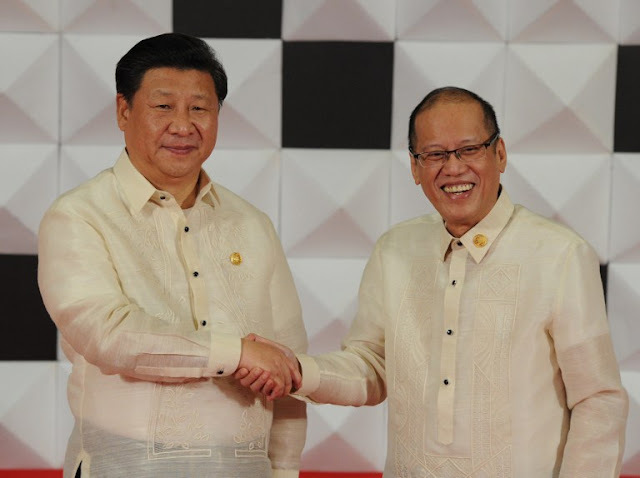 I mean, do you even remember how this guy is really against economic liberalization where he claims that foreign businesses will crush the local businesses. 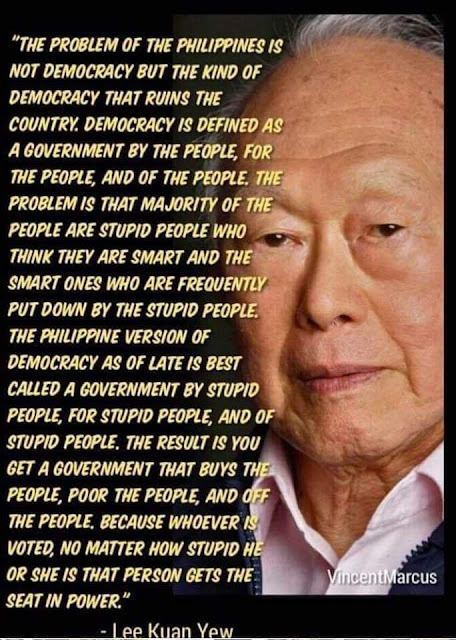 All this while getting involved with Western stuff like he hypocritically gets published on the social media, he holds a microphone, he wears Western style clothes, uses a smart phone which NONE of them were invented by Filipinos or Filipino brands. Since the Philippines is an archipelago of 7,107 islands then do you think having very few Internet service providers (ISP) would work? Singapore can have fast Internet with having a few ISPs because it's an island but not with the Philippines. Because there's the need for costly underwater cables and with just a few Internet service providers, it would mean it would cost more. Law of supply and demand says that if supply is low and demand is high then prices will naturally go up. Having 7,107 islands and having only a few ISPs is not going to lower down the prices of Internet. Plus, how do you expect these companies to be efficient when they can't accommodate all the demand for Internet? 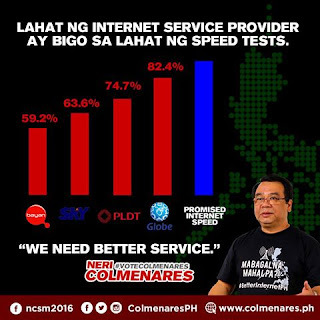 The very idea of Neri Colmenares wanting better Internet service providers but holding up to Heneral Lunatic's idea of self-industralization is a fantasy he needs to get out of. When you pamper local businesses it doesn't encourage them to improve. If he's thinking that they can achieve "Sariling Atin Only" Internet then he's dreaming. Don't tell me that the local Internet service providers aren't using imported materials in the first place or that Filipinos invented the Internet. 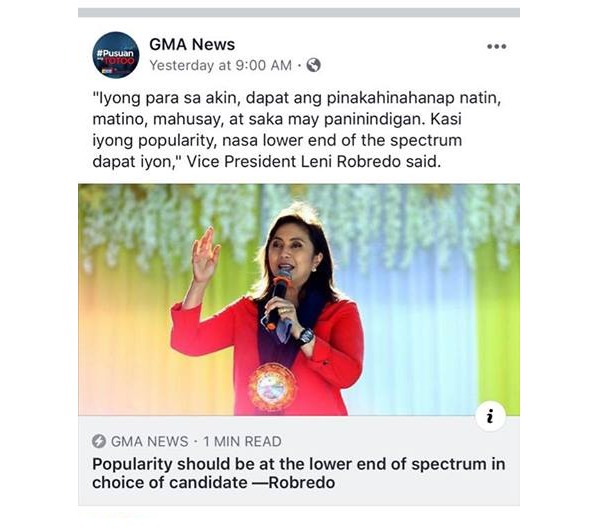 Plus, what if a competent non-Filipino ISP decides to offer better services then he may most likely just reject it out of nationalism while saying, "We need better Internet services." while rejecting the better ISPs in favor of local ISPs that offer slow Internet. If you want better services then you really need to open up the economy with reasonable restrictions. It's not like as if foreign investors are allowed to do what they do when they own 50% and above of shares in terms of ownership to the business. When there's competition then local businesses are forced to compete and other businesses can get more suppliers providing a more healthy business environment. If you want better Internet then open up the economy.